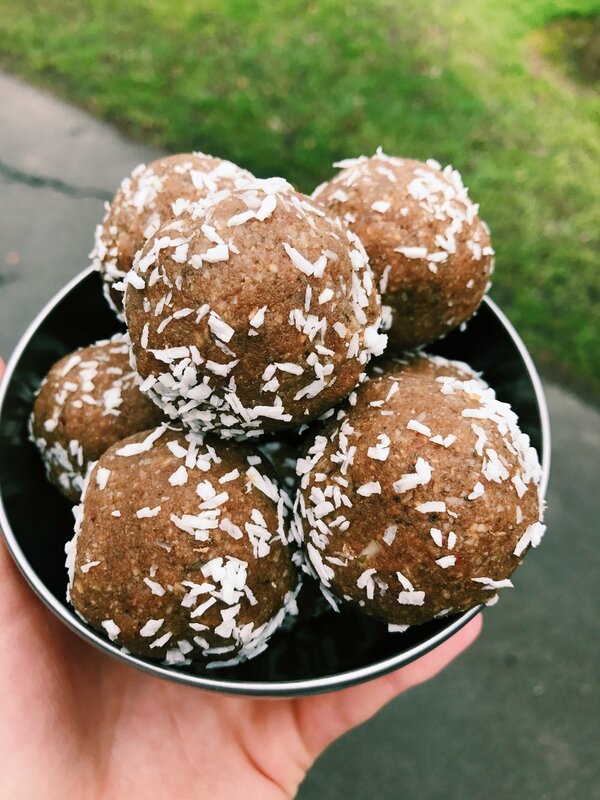 One of the biggest questions I have been asked in the last few months is what I put in my bliss balls and if people could have the recipe! So I have decided to let you all in on one of my Nourishing Nibble flavours ... SALTED CARAMEL. These are the perfect little nibbles for a study snack, for a kids lunch box, or a 3pm treat to curb your cravings! Will make around 10 depending on the size of your balls!